Our divisions for boys and girls ages 4-7 do not start until mid-April. No need to be alarmed because you haven't been contacted yet and you see the older boys out playing. Registration is still open for T-Ball and Rookies baseball (boys 4-8 and girls 4-8). All other ages are closed for baseball. All softball is closed. To learn about our baseball divisions, click here. To learn about our softball divisions, click here. You can view our league boundaries here. You can view the Little League Baseball Age Chart here. You can view the Little League Softball Age Chart here. Not sure if NWALL is your home league? 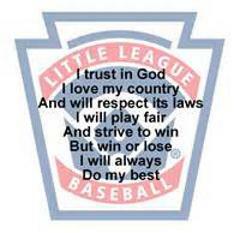 Click here to be redirected to the official Little League, league finder. Or, send us an email. Thank you for your supporting NWALL! Want to support NWALL? Click the link above for more information. ©2019 Northwest Ada Little League / SportsEngine. All Rights Reserved.